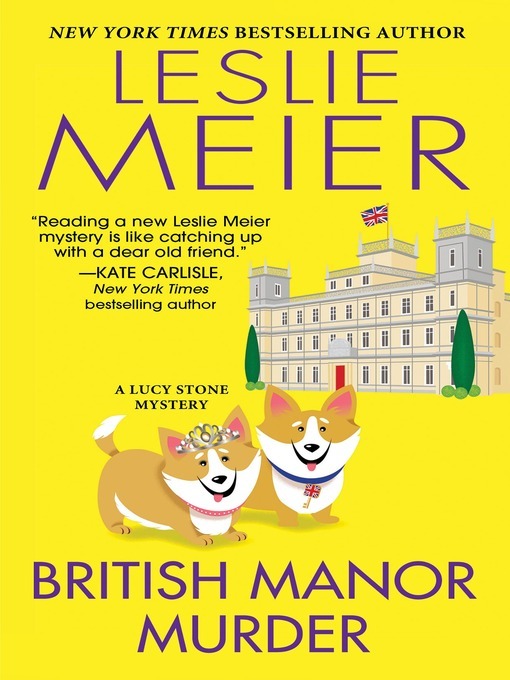 "Reading a new Leslie Meier mystery is like catching up with a dear old friend." It's a nippy spring in Tinker's Cove, Maine, and Lucy Stone can't wait to join her friend Sue in England for a "Heads Up!" hat exhibition. But at Moreton Manor, privileged life isn't always tea and crumpets . . . Although the earl of the house and his sister are surprisingly accommodating to their jetlagged guests, Lucy feels uneasy after a fallen portrait sparks talk of a deadly family omen. The bad vibes come in quickly—snobby Aunt Millicent and her handmaiden Harrison unexpectedly drop by for the exhibition, and meals with the family are consistently tense. But real trouble begins when a body, bludgeoned by the chapel's gold-plated reliquary, is found in a hidden, sealed off room. Stranger still, the corpse is identified as Harrison's son, Cyril. While Cyril wasn't exactly a gentleman, and it's unclear what business he had on the property, one thing's for sure—the criminal is privy to Moreton Manor secrets. And Lucy has a hunch that the killer has been in her company all along, just waiting for a chance to make blueblood run red . . .
"Counts, countesses, and corpses highlight Lucy Stone's trip across the pond . . . A peek into British country life provides a nice break."